Chiara Vari is a Clinical Psychologist and a Chartered member of the British Psychological Society. She is also registered with the Health and Care Professions Council (HCPC). 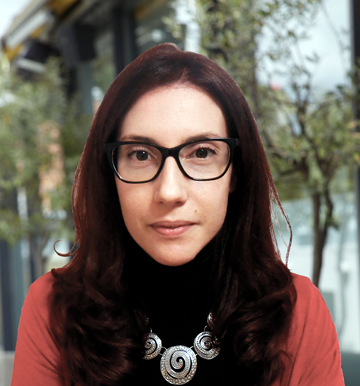 Chiara specialises in psychodynamic psychotherapy. She trained in Europe and in the UK where she works within the NHS. She works with people presenting with depression, anxiety, personality disorders, traumatic experiences, abuse, eating disorders, difficulties in establishing meaningful and fulfilling relationships. Chiara works with individuals offering a long-term space to deepen personal understanding. While proving challenging at times, this way of working often grants a higher degree of internal and interpersonal flexibility as well as symptomatic relief. She has also worked in clinical and health psychology research and is interested in the psychological impact of medical health conditions (e.g., skin diseases, muscle conditions).